For many years, one of the hotly contested subjects in professional speaking circles has been determining at what point a speech “officially” starts. Some say it’s the moment you reach the parking lot of the venue. Others say it’s the second you get into your car on your way to the venue. Alternatively, the old timers say your speech begins when you go to bed the night before. I wonder if you can charge extra for that? Since we know for a fact that the introduction of the speaker sets the tone for the speech, let’s agree to start there. The introduction should set the speaker up for success in the same way an alley-oop (basketball term) sets up a would-be slam-dunker. Of course, it never happens that way . . . usually, an executive or leader from the organization gets up and reads (for the first time) something they were just handed when they walked into the room. They go on and on, fawning over all the letters behind the speaker’s name, touting their credentials back to kindergarten. By the time the speaker takes the stage, in your mind, you have already run your evening errands, tucked the kids into bed and are reaching for your third glass of wine. This is the wrong way to introduce a speaker! Interestingly, audiences use the cable guy standard to pre-evaluate a speaker. They only care about two things: what type of person they are dealing with and can this person solve their problem. The bar is lower than you think. Mainly, you have to be confident and likable. If you didn’t have the credentials or intellectual chops, you wouldn’t be at the table. Don’t overcompensate! Instead, use your introduction to surprise your audience with something refreshing, like self-deprecating humor, or tell them what they are going to learn in exchange for their valuable time. Here are 5 ways your introduction can tell your audience that they are about to hear from an engaging expert. 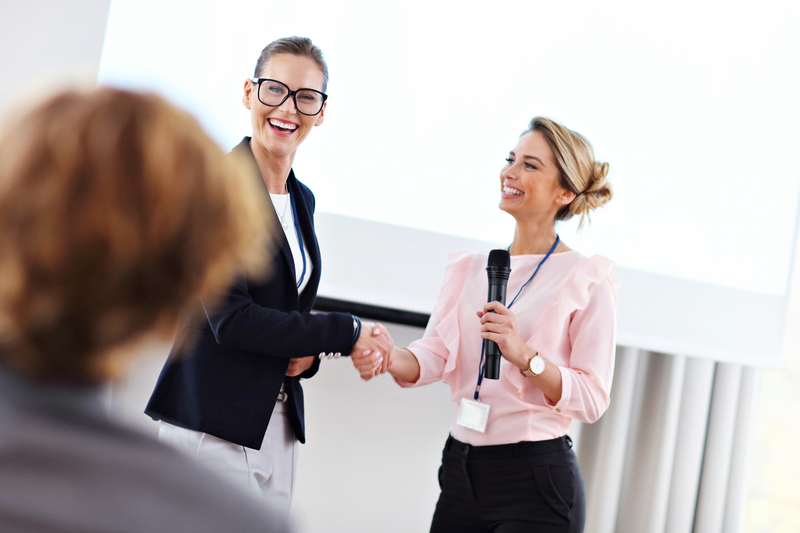 Show them that you understand their problem: For example, if I were invited to speak about Speaking (which I often am), I’d suggest that my introduction sound something like, “If you’ve ever wished you could alleviate the pressure and fear associated with delivering a high stakes presentation, today’s speaker is going to…” You get the point. The idea is to acknowledge your audience’s pain point before you take the stage. Talk to your introducer before the meeting starts to gauge their nervous meter as well as assess their ability to pull off your introduction. If you feel the need, don’t hesitate to coach them up. Remember, it’s your reputation that’s on the line. Write the words READ EXACTLY AS WRITTEN across the top of your introduction. Will they do it? No, but they will stick more closely to the script than they otherwise might have. Make sure the font is bold and, if possible, in red. Phonetically spell uncommon names and words that may be difficult to pronounce. For example, at the top of my buddy Bronkar’s introduction, he has a note that says: ‘Bronkar’s name is pronounced “brawn-car.”’ Help them help you! Use LARGE FONTS and good S P A C I N G so your introducer can easily read your copy. Writing your own introduction will help avoid having your introducer stand in front of your eagerly awaiting audience and saying something like . . . “Good morning, everyone. We’re excited to have “Your Name” with us today. We knew if someone from inside our company spoke, we would probably bore you to tears so we paid “Your Name” a whole lot of money to come in and do it instead.” Who wants to follow that introduction? To check out three top-notch introductions, click here.